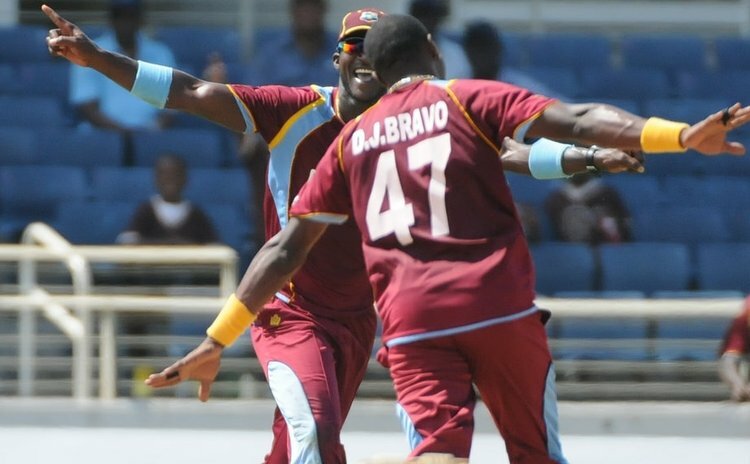 KINGSTON, Jamaica – West Indies made use of a solid opening partnership between Dwayne Smith and Kieran Powell to beat Ireland by four wickets in their one-off One Day International at Sabina Park on Sunday. This was West Indies' second victory on the trot following an 11-run win against the same opponent in a Twenty20 International match on Friday to draw the two-match series. West Indies started in a hurry with Smith and Powell attacking the Irish bowlers and sharing 100 runs for the first wicket. Smith, who was drafted in the team to replace an injured Chris Gayle, made good on this opportunity and raced to 55 off 53 balls. Ireland brought themselves back into the match when Kirk Edwards and Darren Bravo went in quick succession. But Powell stayed around for a well played 57 off 72 balls. Captain Dwayne Bravo had a quickfire 35 to bring the West Indies closer to their target. Marlon Samuels and Darren Sammy were left unbeaten at the end left to carry the West Indies home. Earlier, Ireland recovered from 78 for 4 to reach 202 all out, thanks mainly to a 45-run stand between Gary Wilson (62) and Kevin O'Brien (22). Stuart Thompson also frustrated the West Indies' bowlers with a stubbon 33. Jason Holder (3-34), Dwayne Bravo (3-36) and Nikita Miller (2-30) were the pick of the bowlers. Ireland, with one win from three matches on tour of the Caribbean, will switch attention to the International Cricket Council (ICC) World Twenty20 Tournament in Bangladesh. West Indies will engage in England in a three-match ODI series in Antigua followed by three T20s in Barbados. Ireland Innings: 202 All Out (49.2 Overs). Gary Wilson+ 62, Stuart Thompson 33, Ed Joyce 25, William Porterfield* 25; Jason Holder 9-1-34-3, Dwayne Bravo 9.2-0-36-3, Nikita Miller 10-0-30-2, Darren Sammy 8-0-29-1. West Indies Innings: 205/6 (36.4 Overs). Kieran Powell 57, Dwayne Smith 55, Dwayne Bravo 35, Marlon Samuels 26*; Stuart Thompson 4-0-17-2, Paul Stirling 10-2-42-1, George Dockrell 9.4-1-48-1, Max Sorensen 4-0-34-1. West Indies Bowling: J Holder 9-1-34-3, M Cummins 6-1-42-1, Dwayne Bravo 9.2-0-36-3, D Sammy 8-0-29-1, N Miller 10-0-30-2, M Samuels 7-0-29-0. Ireland Bowling: M Sorensen 4-0-34-1, T Murtagh 6-1-41-0, G Dockrell 9.4-1-48-1, P Stirling 10-2-42-1, Kevin O'Brien 3-0-18-0, S Thompson 4-0-17-2.